The A class defines a new, youthful face for Mercedes, the carmaker says. GENEVA -- The new A class unveiled by Mercedes-Benz on Monday ditches the current-generation car's boxy, minivan-like styling for a fresh, sporty look, which the automaker hopes will attract younger customers to the brand. "The A class is the right product at the right time and has tremendous potential to tap into new target groups and markets," Joachim Schmidt, head of sales and marketing at Mercedes, said in a statement. 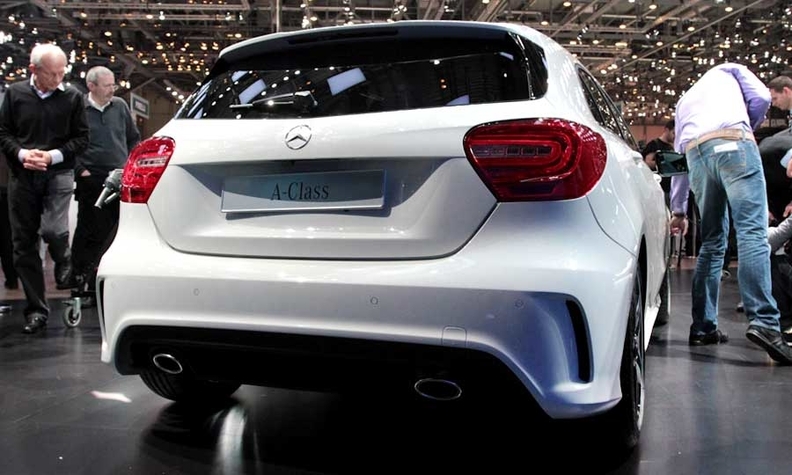 The A class will arrive in European showrooms in September and is scheduled to launch in the United States in 2014. Mercedes expects more than half of A-class customers will be new to the brand. "We are targeting buyers aged from the late 30s to the mid-40s," Schmidt told Automobilwoche, a sister publication of Automotive News Europe, in an interview. 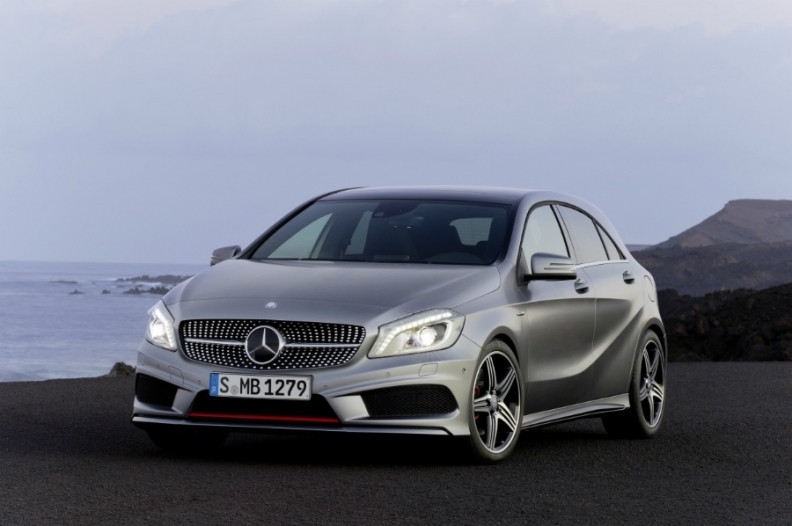 The A class will be the first Mercedes compact car sold in the United States. "The United States is ready for a chic, compact car from Mercedes," Schmidt said. "It will be offered with all the important features, including safety technology. I am convinced that it will be a success there." The A class will be built in Germany, Hungary and China, where it will go on sale in 2013. The car will be a key model for Mercedes in its bid to retake the luxury-car lead from BMW, as well as fight off tougher competition from Audi. Mercedes hopes the car's sporty styling will make it a strong competitor to the BMW 1 series and Audi A3. The A class is based on the new Mercedes Frontwheel Architecture (MFA) that also underpins the new B class, which was unveiled at the 2011 Frankfurt auto show and retains its boxy, minivan-like design. The A class sits up to 180mm closer to the road than the current car, giving it a more dynamic stance. The A class has an array of safety features including a radar-based collision warning system as standard and gasoline and diesel engines with fuel-saving direct injection and stop-start systems. The most frugal engine has CO2 emissions of 99 grams per kilometer. Daimler CEO Dieter Zetsche said the car is a clear statement of the new dynamism of the Mercedes-Benz brand. "It is completely new, down to the last detail," Zetsche said in a statement. "In automotive development, it's not often you get the chance to start with a clean sheet of paper. Our engineers and designers have made the very most of the opportunity."